Why spend hundreds of dollars on professional cleaning when you get the job done by yourself? 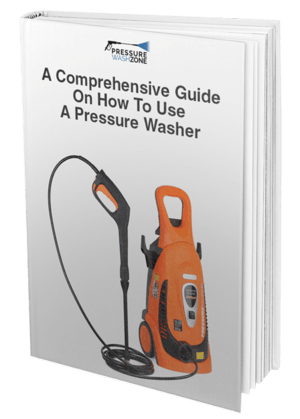 Pressure washers are amazing heavy-duty machines that make it possible for homeowners to clean houses, fences, driveways, all with minimal effort, while keeping costs at a minimum. Pressure washing is a convenient way to create a healthier living environment for your family. You can use the heavy-duty machine to remove mildew, sticks, and stains, rubber marks from oil, rust and tires without a worry. One of the most notable advantages of a gas powered pressure washer is the device is portable and be carried practically anywhere you go. Sure, these machines may be much heavier than their electric counterparts but that doesn’t overshadow the long list of advantages they offer. Gas powered pressure washers do not require regular maintenance and are ideal for heavy-duty tasks. With routine maintenance, these machines can last for several years. However, on the downside, these machines tend to be more expensive and may be difficult to carry. The Karcher G 2700 PSI Gas Pressure Washer is considered one of the best gas pressure washers in the market. Delivering up to 2700 PSI with a welded steel frame, the pressure washer is built to last and features optimal performance. The device also features a folding handle that allows compact storage. Powerful Engine - The Karcher G 2700 features a powerful 196cc engine that generates 2700 PSI of water pressure with 2.5 GM strong water flow. Best of all, the powerful engine is backed by a 3-year warranty so customers can enjoy a risk-free purchase. 5 Quick Connect Nozzles - The Karcher G 2700 allows you to tailor and customize the pressure output depending on your cleaning needs. The machine features 5 Quick Connect nozzles: 0°, 15°, 25°, 40° and soap that offers you the flexibility to perform a variety of cleaning tasks. 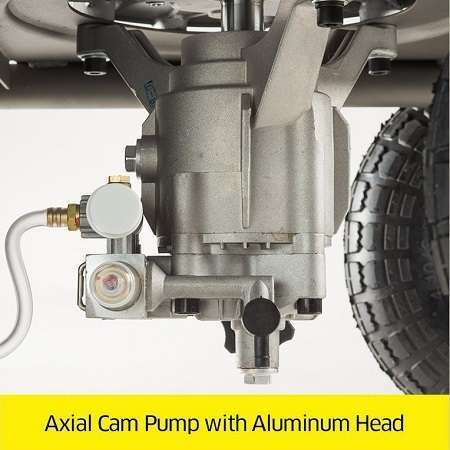 Axial Cam Pump - A pressure washer is only as good as its pump. This product features a powerful axial cam pump with aluminum head. The pump is backed by a 2-year warranty that ensures that consumers can make a risk-free purchase. 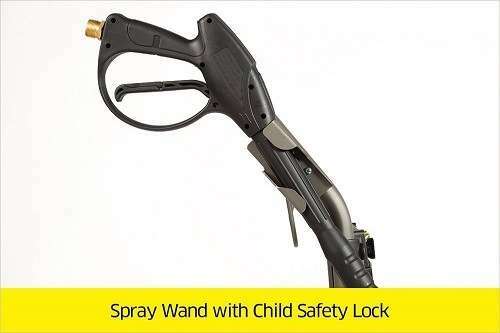 Safety First - Nothing matters more than the safety of your children, which is why the pressure washer’s spray wand features a child safety lock. This will prevent your little ones from creating mischief and will protect them against high-pressure water. Reputable Brand - Rest assured, when it comes to manufacturing the best gas powered pressure washers, Karcher is a name you can certainly rely on. The brand has been manufacturing high-quality pressure washers for several years now. Folding Handle - The Karcher G 2700 features a folding handle that allows compact storage. This makes it easier for users to transport the machine from place to place with compact storage. The Karcher G 2700 PSI Gas Pressure Washer has received an average rating of 4.1 stars out of 5 stars on Amazon. The product received a majority of positive reviews though several customers agreed the product could use some improvements. On a positive note, customers were impressed by the durability and overall strength of the product. The machine features a welded sturdy steel frame that is built to last and is designed to withstand the wear and tear of everyday use. Most customers wrote how they liked the engineering and design of the pressure washer. Customers were pleased with the spray pattern and the range of powered offered by the product. 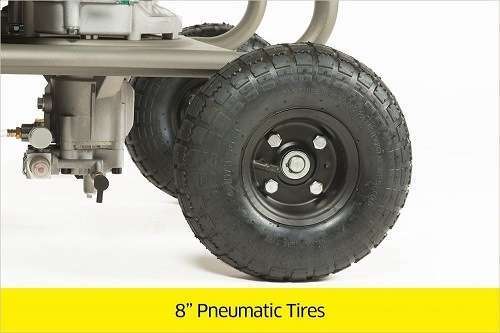 The pneumatic rubber tires will make it easier for you to transport the machine from place to place, even if you live on rocky terrain. Shipping and assembly is also quite simple so you don’t have anything to worry about. A customer complained that the product was difficult to assemble despite reading both instructional manuals, (one that came with the product and another one that they found online) but after watching a few videos online, it was no problem. 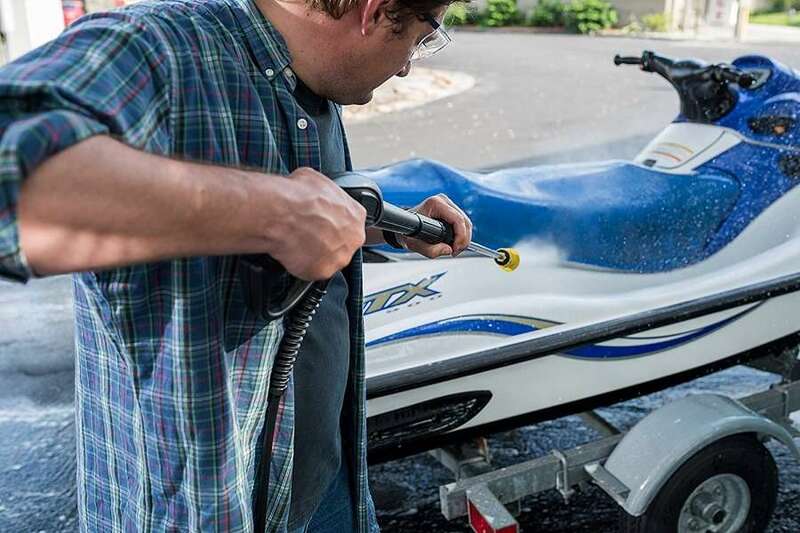 The Karcher G 2700 PSI Gas Pressure Washer can be purchased on Amazon at a reasonable price of just under $260. The price may vary depending on the seller and the condition of the machine. To save a few bucks, consider looking for promotional offers and discounts. Apart from Amazon, you can also purchase the product from eBay, Homedepot and Wal-Mart. Browse through these websites so you can purchase the product at the best price. 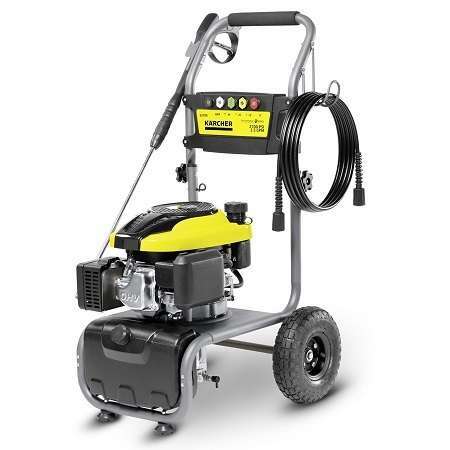 Consider purchasing the gas pressure washer from Karcher’s official website. The brand offers several deals and discounts that you can take advantage of. If this product doesn’t suit your needs, consider investing in a different model. Karcher offers a variety of products that you can choose from. Overall, this pressure washer is a great product that is available at a reasonable price. However, if you are on a limited budget, consider investing in an electric pressure washer. Check out other products manufactured by Karcher if this one does not suit your needs.